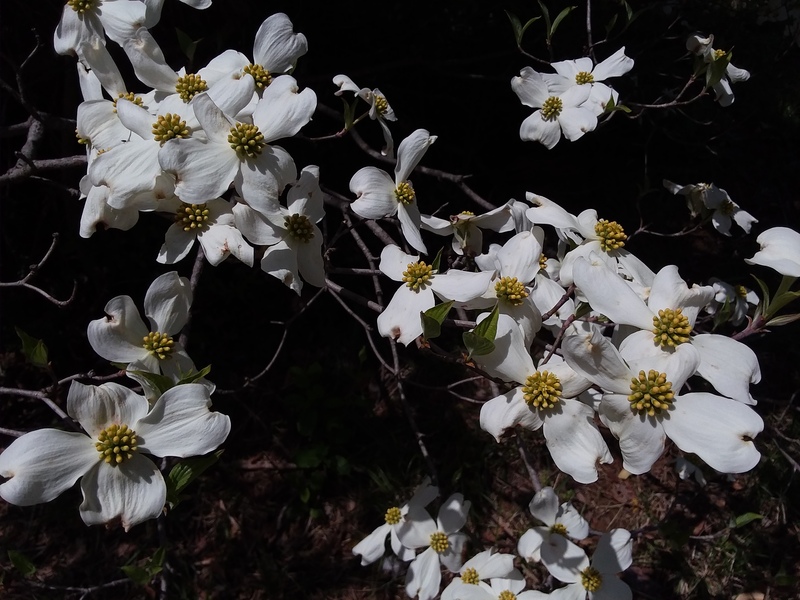 As a kid, I was taught that dogwood flowers were symbolic of the crucifiction. A crown of thorns in the middle of the cross, and blood stains on each petal. They’re a little late for Easter this year!